Renowned for her screenwriting in anime like The Anthem of the Heart and AnoHana: The Flower We Saw That Day, Mari Okada makes her long-awaited directorial debut with the emotional fantasy Maquia: When the Promised Flower Blooms, a touching tapestry of love over a lifetime. I knew two things after my first viewing: 1) P.A. Works’ dream of a “100% Okada” anime had been realised, and 2) I needed to speak to Okada about the film. Fortunately, she was in the country not long after, so I jumped at the opportunity to do so! Before our meeting, my limited knowledge of Okada came from summaries of her troubled adolescence detailed in her then-untranslated autobiography (now available digitally from J-Novel Club). I’m always a touch nervous before interviews, but was especially unsure here, especially given Maquia‘s theme of motherhood and Okada’s relationship with her own mother. Note: Questions and answers were exchanged through a professional interpreter. Anime UK News: After years of screenwriting, what motivated you to accept the role of director with Maquia? Okada: Having been a writer for so many years, I felt there was a limit to what you can do if you’re just responsible for the screenplay. There are lots of people involved in creating anime characters. With a TV series, if you have different people working on the storyboards of different episodes, they’ll all have a different take on the characters. So when you’re writing a screenplay, you have to make sure whoever reads it gets the same impression of the characters and how they’re thinking. Which means that you end up needing a lot of explanation in the screenplay, and you can’t do exactly what you want to do with it. I thought as director, I’d have a lot of opportunity to talk to everyone involved, and create the characters that I wanted to create. Anime UK News: As a first-time director, what about the role did you find the most challenging, and also, what was the most rewarding? Okada: The best bit, the bit I enjoyed the most, was when you get passed all the differences of opinion and the struggles, and there’s a moment where everyone clicks and goes “that’s it!” – and that happened a few times when making the film. The toughest thing, was that although my main job at the time was directing Maquia, I was also working on some other projects. They would work around my schedule, so I would end up having to go for a meeting from say 9, that wouldn’t finish until midnight. Then I’d get a call from the studio saying “Can you come in now?”. Then I’d go in and I’d be there until 3 or 4 in the morning. My brain so tired that I wasn’t thinking straight, I decided I would walk home, without realising that would take 4-5 hours. The trains hadn’t started yet, so I started walking and it was… freezing cold and in the winter. That was tough. Anime UK News: After watching Maquia, I was left feeling that it was a film only you could have made. How important do you feel it is for a creator to reflect a part of themselves in their work? Okada: I think it’s important. I think there’s a tendency for producers for example, to want to make anime that they think are going to be a hit, the type of anime that are popular right now. But I think making something just because it’s going to be popular… you’re not making what you really want to create, and that’s not healthy. Of course I want to make something that lots of people are going to love, but if I’m not moved by it, how is anyone else? Anime UK News: With the Iorph having a longer lifespan than that of a normal person, was there any particular inspiration between Maquia and Ariel’s relationship in the film? Okada: I think the fact that I have cats plays a big part in that. Because I know that these cats I’ve had since they were kittens, unless I’m in an accident or am sick, they’re going to die before I do. Loving these animals, but knowing that at some point they’re going to cause me pain…you do think it may be better to never have cats in the first place. But at the same time, you want to be with them, and that’s a feeling I wanted to work with. Anime UK News: That feeling actually hit me when I watched the film, because I used to have a dog that I was really close with – friends would jokingly call her my wife! She passed away about two years ago now, so when I was watching the film… it’s great that you mentioned pets, because I made that link in my mind as well. Anime UK News: The theme of motherhood is at the heart of Maquia, but is approached differently to your past works like The Anthem of the Heart. How did you decide to make this a central theme of the film? Okada: With The Anthem of the Heart and Hanasaku Iroha that I made with P.A. Works, there is a depiction of motherhood there and in those cases, it goes back to my emotional relationship with my mother, and the feelings I had towards her – I wanted to express that in anime. 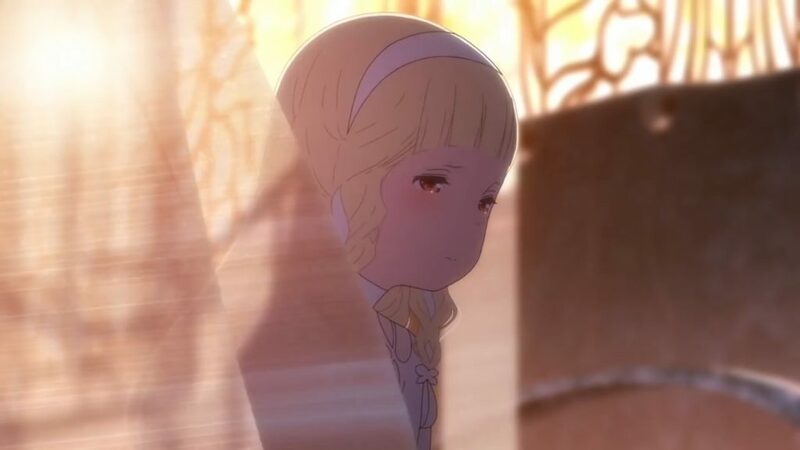 With Maquia, rather than wanting to show a mother-child relationship, I wanted to focus on strong human connections. Maquia has always felt alone, and she wants a strong connection to somebody. Precisely because she doesn’t have that relationship, for her the strongest human connection, appears to be the parent-child relationship. Anime UK News: I found Maquia to be an emotionally profound film, which I still think about regularly, but is there a particular message or feelings you hope audiences take away from the film? Okada: Baro says at the end of the film, “Whenever you meet somebody, there will always be a parting”, but making this film has given me an opportunity to meet you, to meet lots of people, and I wanted to get across that even if, quite often, meetings lead to partings and pain, it’s still worth meeting people and experiencing life. Anime UK News: Thank you. It’s been a pleasure. After the interview wrapped, we had a brief discussion about our respective pets, and luckily I had a photo of my departed Eevee on hand. After learning her name came from the Pokémon, we laughed as Okada playfully raised her arms above her head, mimicking the character’s long ears. After thanking her for both a great interview and advice about being a writer (my ultimate goal), she wished me luck and said “Goodbye” with a happy wave. My next stop, was to buy stationery, so I could start seriously planning my own story on the train ride home. Indeed, even if meetings lead to partings, it definitely is worth meeting people. Maquia: When the Promised Flower Blooms opens for one-night only in selected cinemas across the United Kingdom and Ireland on Wednesday 27th June 2018. Your nearest screening can be found at maquiafilm.co.uk. Disclosure: Josh A. Stevens has assisted Fetch Publicity, who are under contract by Maquia’s distributor Anime Limited, with their social media marketing of the film. 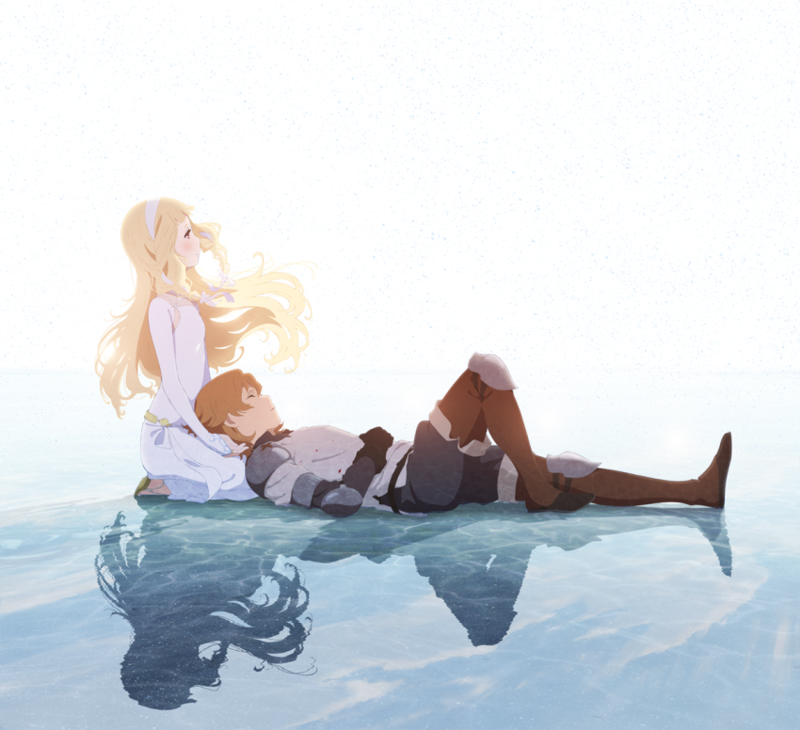 See Mari Okada’s upcoming directorial debut, Maquia: When The Promised Flower Blooms, a month early with a special screening at MCM London Comic Con this May!